Business Functions is part of a major new national programme of highly developed texts and modules for undergraduate students following business studies courses. It provides 150 hours of quality study to be used by students in a supported learning environment. This introduction to Business Functions delivers the knowledge and skills required to understand the key characteristics of business organizations and the core functions that contribute to their operations. 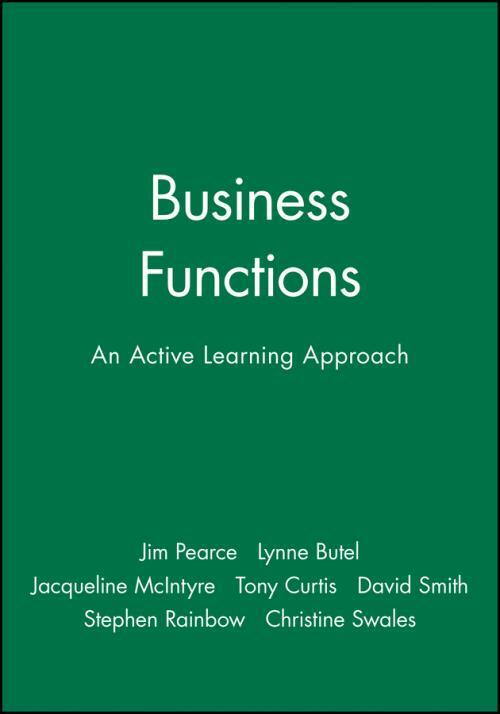 Business Functions has been written and developed by a highly experienced team drawn from the Open Learning Foundation′s member universities. Using a range of questions, self–assessment exercises, examples and assignments, Business Functions is the most effective teaching and learning resource available at this level.